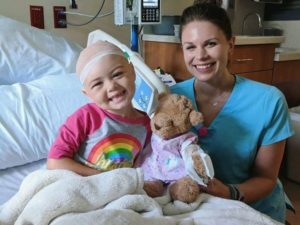 A teddy bear may seem like just a toy, but at Dell Children’s, teddy bears serve an important role in a patient’s experience. Teddy bears and stuffed animals are utilized by our Child Life Specialists during medical play sessions, giving patients an opportunity to understand different procedures and medical experiences. Recently we sent a call out to our Dell Children’s Trust members, asking for some BEARY important help. 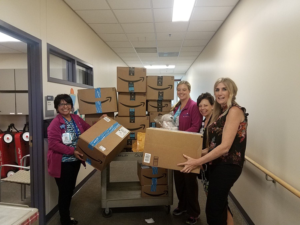 Our Dell Children’s Trust responded immediately, ordering more than 200 bears for our Child Life Specialist team. Jordan Ruch, CCLS in Pediatric Surgery notes, “Patients really enjoy “playing doctor” and often play through their own experiences with the bear. The teddy bears provide a playful, safe way for children to learn about diagnoses, surgeries, and procedures, as well as feel more empowered during their stay at the hospital”. 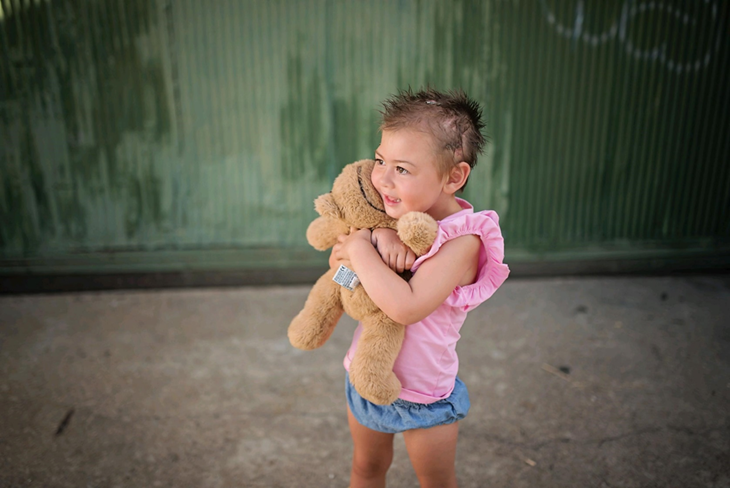 Adorable Dell Children’s patient, Kayci developed a powerful bond with her bear, who bravely and graciously went through the exact same treatment as Kayci. 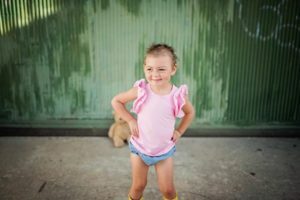 When Kayci left Dell Children’s she insisted on a photo shoot with her little buddy and her parents are overjoyed to share her story. Thank you to our Dell Children’s Trust and to Cara and John Cooper, parents of Kaycie, for sharing this courageous and mighty Dell Children’s warrior with us!